Bottled Beauty: First Impressions: Bourjois Color Boost Lip Crayon in "Red Island" and "Plum Russian"
First Impressions: Bourjois Color Boost Lip Crayon in "Red Island" and "Plum Russian"
The other day I reviewed the new Bourjois cream to powder eyeshadow here and today I'm reviewing the 2 new Colour Boost Lip Crayons from the "Magical Paris" collection. I have one of the original colours of the Color Boost, so I knew what to expect performance wise. The surprise was on the inside. From the outside packaging, I was expecting "Red Island" (05) to be quite deep and dark. Instead it's quite bright. It's a really glossy colour. I like that the red can be built up to become vibrant, or applied once lightly for a subtle red. It's the perfect product for anyone wanting to slowly get into red lips. "Plum Russian" (06) is a very unusual colour. I was expecting it to be plum as the name suggests, but on my lips it turned out more raspberry than plum. If I apply a few coats, the plum is more obvious. If you haven't used the Color Boost lip crayons before, they're really easy to apply. They have a beautiful gloss to them. These feel incredibly hydrating on my lips. The colour does last for a few hours, but doesn't last long if you eat or drink. The one negative is they can easily "slip" on your lips, so it's a good idea to use a lip crayon (I love the Models Prefer Infinite Colour Lip Liner, which I've previously reviewed here). 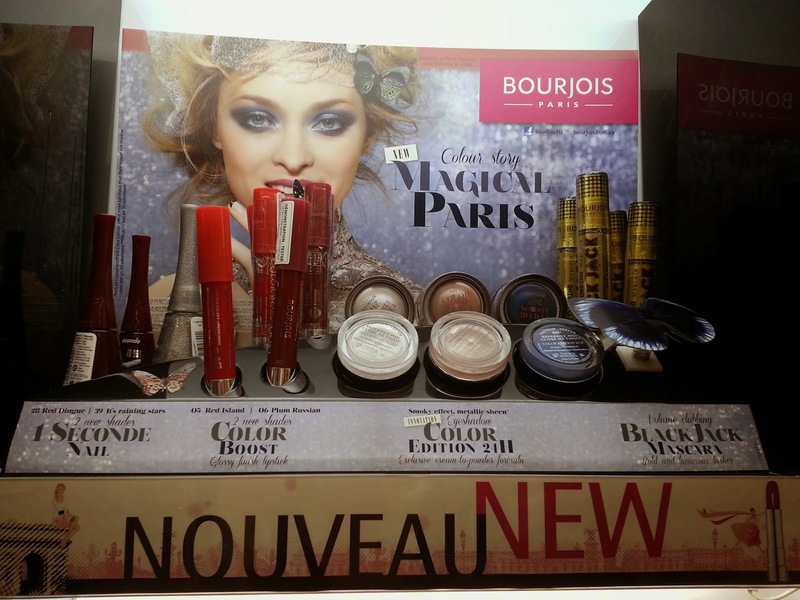 They retail for $15.00 each, but Priceline often has Bourjois on special or has a GWP. Have you tried the Color Boost lip crayons before? Love the Plum Russian. Very pretty colour. Isn't it beautiful!!! Love Bourjois lip products. Really like the look of Plum Russian, its nice they're releasing some darker shades now for autumn. I think that's the only reason why I haven't tried lip crayons yet, they're all bright shades. There are so many pinks and reds. Not much in the way of plums and purples. Plum Russian is prettier than the other. I super like the color for its not too bright and its just perfect for everyday wear. It seems like everyone loves Plum Russian! Oh my goodness!! Those are beautiful colours! I really feel like running out and buying them now. Literally! But I know what you mean how the colours turn out differently, it looks different to what's actually on the stick! It goes to show you that packaging can sometimes be very deceiving.